An impressive list of partners and sole agencies from around the world! For over 85 years Berco has been producing machine tools and equipment for reconditioning of internal combustion engines. These highly technical performance and superior quality machines are universally recognized. The Ferrari F1 racing team chooses the Berco Lynx 2000 CNC crankshaft grinder! Becoming part of a winning team is not only an honour, but a confirmation of the importance of believing in your ideas. Originally developed for Formula One Racing, these sophisticated cylinder head re-working machines are now a familiar sight in first class automotive engines rebuilding shops in Malaysia and also around the world. We are proud to be a partner in contributing to increasing fuel efficiency in reworked auto-engines and also reducing air-pollution with SERDI machines. KWIK-WAY Machines. 500, 57th Street, Marion, Iowa, USA. For 87 years, this company is leading the competitors in innovative equipment and tools. The legendary SVS II valve refacer is a classic example of fine engineering Principles; simple, precise and fast. Other products in its stable are Iron-tite crack repair tools, flywheel grinders, brake lathes, cylinder boring machines. MERLIN have 57 years experience in the manufacture of Diesel Fuel Injection Test and Service Equipment for Automotive, Industrial, Rail and Marine Applications. 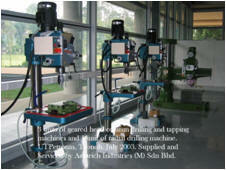 Product range includes Automotive Test Stand, Tachometers, Ultrasonic Cleaning Tanks, Special Tools and Test Injectors. End-Users. KTM, Malaysian Navy, ADTEC Melaka,, Polytechnics..
An Italian tradition of keeping the business within the family, Borgo has evolved from a manufacturing company of motor-cycles to that of dynamic balancing machines since 1962. Its presence is world-wide with different ranges of dynamic balancing machines suitable for crankshafts, turbo-chargers, fans , propeller shafts, electric motor armatures. Available in soft or hard bearing versions, cardan drive or belt drive and colour display panel. Excel Machine Tool was formed many decades ago and it is a brand recognised throughout UK and many other countries. Assurich Industries (M) Sdn Bhd has been in partnership with EXCEL for more than 7 years and have equipped many technical schools and universities in Malaysia with EXCEL machines. A Danish group of companies with wide ranging manufacturing interests in Industrial Belt Grinders, Centerless Grinder, Notchers, Bench Grinders, Bending Machines, Shears, Drill Presses, Geared Head Milling Machines, Metal Cutting Band Saws, Bending Rollers. Its trade-marks "SCANTOOL". "KEF-MOTOR" and "ARBOGA" are a familiar sight in many factories, colleges, technical schools and Universities in Malaysia and worldwide. Real Quality at an affordable price! Some more of our partners and sole-agencies from around the world! 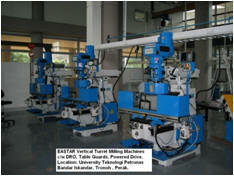 EASTAR MACHINE TOOLS CORP. Yuan Huan N. Rd.,Feng Yuan,Taiwan. ROC. EASTAR is an established manufacturer of machine tools in Taiwan since 1967. Taiwan is the 5th largest manufacturer of machine tools in the world. Notably, in USA, European and Asian countries, machinists are working with reliable EASTAR Machines. You can find EASTAR machines in technical institutes and Universities in Malaysia too! Pei-Ton Dist. Taichung, Taiwan. ROC. Tai Yi Machinery (Nantong) Co. Ltd. Yue Jiang Road, Nantong, Jiangsu, CHINA. An established manufacturer of first class precision lathes in Taiwan since 1950s. 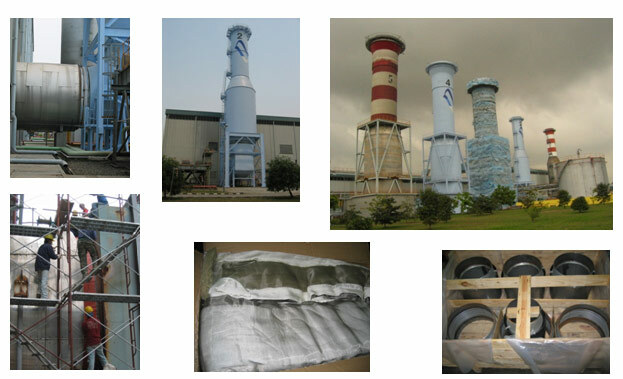 Have factories also in mainland China. An approved "A" Grade Manufacturer, Runmaster Brand is a very well known Brand in Taiwan and also throughout the world for its ruggedness and total dependability. Today this company also manufactures CNC lathes. Among the satisfied customers of Runmaster Lathes in Malaysia are Top Thermo MFG (Malaysia) Sdn Bhd.,Shah Alam, Selangor. TRW Automotive Lucas Varity (M) Sdn Bhd Bkt. Beruntung. Selangor. SME Ordnance Sdn Bhd, Batu Arang Selangor, Palm-Oleo Sdn Bhd. Rawang, Selangor, KL Infrastructure University College (KLIUC) Kajang, Selangor. University of Nottingham, Malaysia., KTM Batu Gajah. Mumin Gencoglu Caddessi, Bursa, Turkey. An important sheet metal machinery manufacturer who has established its name worldwide with its high quality range of bending rolls, profile benders, hydraulic iron workers, metal band-saws, and hydraulic presses. 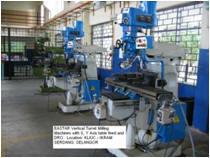 There are many Sahinler machines operating in the factories and training colleges in Malaysia. Neway has been in business since 1952 manufacturing and distributing tools and equipment for valve seat reconditioning and valve reconditioning. Our "trademark" product is the Neway valve seat cutter. Neway seat cutters are almost standard equipment in any machine shop that services four-stroke engines - whether the work is small engine repair, automotive high performance, routine motorcycle maintenance, or heavy duty engine rebuilding. We believe that our product has been so successful for one simple reason: it offers value. It's extremely easy to use, is accurate enough to be the tool of choice for high performance engine work, and it doesn't require a huge investment. Our very important core partners who have co-operated with us for so many years. 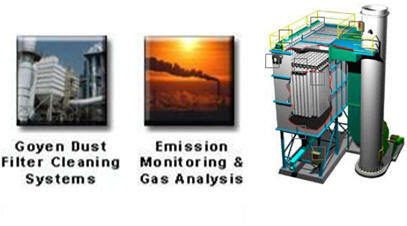 The �Goyen Dust Filter Cleaning Systems� category accounts for approximately 65% global market share of the industry. Goyen is the industry leader in the development and manufacture of the world�s most efficient, high performance cleaning systems and components for reverse pulse dust collectors. Walker Hagou is the world leader in conveying systems using magnet technology and our products can be found in the major can-makers and can-fillers throughout the world. A product from Walker-Hagou Magnetics always means value for money. We are continually making new products to meet our customers ever increasing demands. The DeKomTe de Temple are world leaders in the manufacturing of fabric expansion joints. Each expansion joint is designed according to its working temperature, design pressure, movements and application. DeKomTe metallic expansion joints are specially designed and manufactured according to a revolutionary technique that permits thermal expansion joints at a preconceived installation height. A new name in the market, fast gaining popularity in all sectors of precision industries. You get much more than what you paid for in reliability and accuracy. We stock a wide range of digital calipers, micrometers, dial test indicators, vernier height gauges and magnetic stands. We take this opportunity to express our sincere thanks to our principals who are market leaders in their own field and who have continuously strive to pursue their goal of "excellence". Credit goes to all staff who have one time or another and staff who currently put in their best efforts in promoting the goals and interests of our company. Our long relationships with our freight-forwarders and clearing agents help smoothen the flow of goods. Thanks to Allied Freight, Costrade, Eastern Cargo, Alam Forwarding, Pos Laju, and DHL. Of course nothing happens without the bankers saying so!